Ghost teapot, $42. 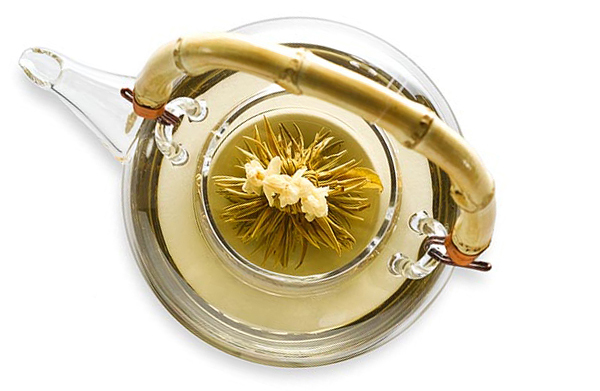 Flowering tea, $12. Thanks so much for writing about this company. I found a Chinese Routine Shaker that I’ve been searching for the past 10 years for myself and my sister. We can’t read Chinese and rely on my Mom to translate these little fortune-telling shakers. Now, we can read it in English! Oh my goodness- you are right- that sight is amazing! Beautiful and simple and creative. I had to force myself to stop looking at it! Thanks! You are so right….the design is exquisite! I am looking around right now & have found several things i want for myself. Thanks for sharing! Don’t know if you know where the tea is coming from… take a look at this site – beautiful teaposies!